The science of your skin and its proper care can be best understood through a comprehensive view of its anatomy and physiology. Learn about the structure and function of your skin and its important proteins so you can make better, more informed decisions on how to care for your skin. Your skin is a composite of three layers of connective tissue. The epidermis, dermis, and hypodermis join at cellular junctions to create the largest organ of your body. Each layer of your skin has a unique role in maintaining homeostasis—your body’s state of equilibrium. The skin regulates internal body temperature, protects delicate internal organs, and defends against pathogens and microbes. Layer by Layer: Understanding Your Skin’s Structure. Water retention is essential for healthy, vibrant skin. Dry skin can lead to a rough and bumpy appearance, and can cause injury when your skin cracks and breaks. A recent study published in the International Wound Journal highlights the importance of moisturizing skin daily. Moisturizing skin twice daily was shown to reduce the incidence of skin tears by nearly 50 percent in elderly patients living in an assisted living facility. Moisturizers are most effective on dry skin when their ingredients reflect the natural oils produced by your skin. This similarity makes for a seamless integration of the moisturizer and your skin. These kinds of moisturizers trap water in your skin and promote healthy hydration. Plant-derived oils are particularly effective at moisturizing dry skin. Your skin is made of a complex network of fibers and proteins that strengthen and reinforce its structure. Collagen and elastin are two of these integral proteins. Collagen gives your skin incredible strength. Collagen production in the skin decreases as you age. This decrease can lead to the visible signs of aging—flat and dull skin, wrinkles, and fine lines. Several types of collagen proteins reside in your skin, and each performs a unique function. At the dermal-epidermal junction (DEJ), collagen creates a structural framework for other skin cells. Collagen also plays a role in maintaining structural stability at the DEJ. Wrinkled skin contains much less collagen at the DEJ and the lack of stability of the area can lead to more wrinkles. Elastin is another important protein in the skin matrix. It gives skin its bounce and resilience. Decrease in elastin production over time causes sagging skin. While elastin naturally decreases with age, photo damage to this protein is the best understood cause of sagging skin. UV exposure causes elastin proteins to stiffen and coil, inhibiting their ability to bounce back into shape. Photo damage over long periods of time causes elastin proteins to lose their elasticity, keeping them from supporting the structure of your skin. Skin creams and treatments that help minimize the appearance of aging usually contain ingredients designed to stimulate collagen and/or elastin synthesis. These products work to minimize damage done by age and the sun to reverse visible signs of aging like wrinkles and fine lines. To effectively minimize the look of wrinkles and fine lines, combine a regimen of these skin creams and sunscreen. Inevitably, your skin will change as you age. Many of the visible signs of aging can be minimized by proper skincare. There are two well-established causes of visible skin aging—intrinsic and extrinsic aging. Effective skincare regimens target the signs of both types of aging. Intrinsic factors governing skin aging include variations in an individual’s genetic background. Extrinsic aging refers generally to factors that originate outside your body. These include smoking, sun exposure, and poor nutrition. Sunburn is thought to account for nearly 80 percent of premature facial aging. The extrinsic factors that cause premature skin aging are largely preventable. One of the most effective methods of minimizing the appearance of aging skin is including antioxidants in your diet. Berries, tea-tree oil, green tea, and grape-seed extract are some notable antioxidants that can be found in your diet and skincare products. Antioxidants fight off the damage caused to skin cells from the sun, and promote healthy cell function. Antioxidants are not only important for your skin, but they help maintain a healthy brain and body, too. Understanding what goes on behind the scenes can help you make smart decisions about your skincare. 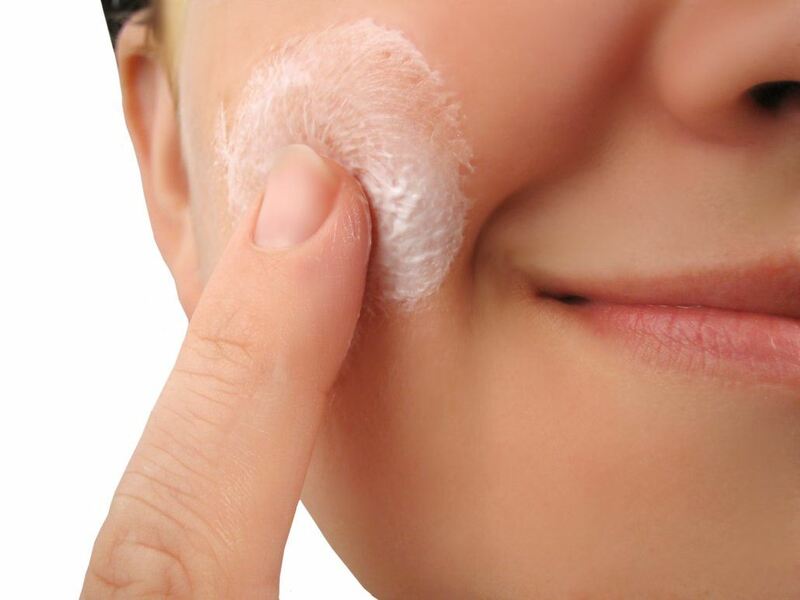 Choosing a good moisturizer and trying to reduce damage done to the collagen and elastin in your skin can improve the health of your skin and minimize visible signs of aging. In addition, eliminating extrinsic aging factors from your daily life can be the extra boost your skin needs to look and feel healthy and strong.